Kenwood were instructed on behalf of a local construction company on a large project in Maidenhead. The site is being renovated by the new owners. The main contractor found dampness and woodworm affecting various areas. 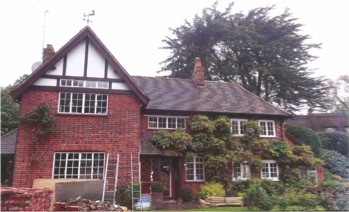 Kenwood were called in to assess and provide recommendations which were quickly accepted and we began works. This work entailed the injection of a new chemical damp proof course to many interior walls. Also required was the use of Kenwood tanking system due to high external ground levels. Woodworm was found to be affecting various ground floor timbers requiring treatment using our specialist fungicidal spray. With our works compete the contractors can complete their works and our client can move into their new family home.